Ulf from Sweden just lost more than 110 pounds (50 kilos) with LCHF. It took him less than four months! Pretty impressive. I ain't done yet, but im getting there... See you all next LCC. ;) ...when i lost another 110lbs. Congratulations Ulf, best regards from LCHF doctor in Costa Rica. KEEP GOING!!! iT'S WORTH IT!!! Great work! Don't give up! Amazing accomplishment and your smile says it all. Congrats Ulf, that's a great start! I wish I would move so fast... I have been on weight loss plateau for 4 months now :( If anyone has good advice for me, then I'm all ears. 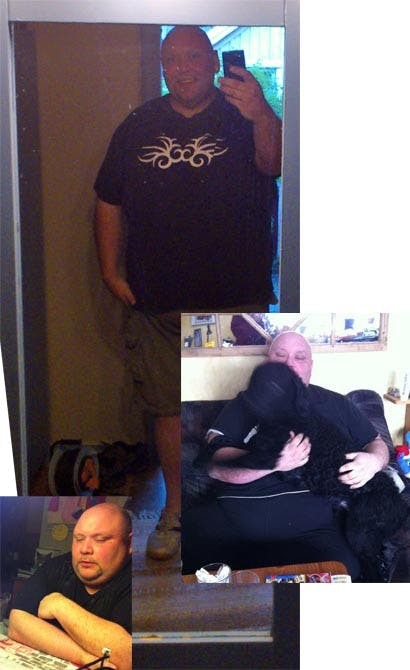 OK, I have been doing the LCHF diet since 01 March and have lost a total of 47 pounds. What am I doing wrong? Maybe you are doing everything right. 110 pounds in four months is hardly average. That sort of extremely rapid loss mostly happens to some younger men (and occasionally women) who start with a lot of excess weight. Many congratulations Ulf! Another inspiring story. Dr Eenfeldt I wonder if you have seen this BBC Horizon documentary "Eat, Fast and Live Longer" -- take careful note of the comma after "Eat"
Michael Mosely (who I understand trained as an MD) visits the USA to find out the diet and fasting secrets of health and longevity. He learns about calorie restriction from a man who eats a massive bowl of frozen berries for breakfast. He is told how eating this way will "cure" him (in a year) of all his current risk factors and negate the need for him to be on any medication... not that he mentions (or gives the impression of) being on any current medication. He lowers his IGF1 by fasting for 4 nights and 3 days. Apparently the key to maintaining a lower IGF1 is restricting *protein* to the recommended daily amount -- no mention that carbohydrates have any effect on Insulin-like Growth Factor (IGF1)... despite the show host's recognition that the fast has depleted his body of its glucose supplies and allowed him to utilise fat instead. He meets some mice who are keeping Alzheimers at bay by NOT eating an high-fay diet -- an high fat diet which (for some reason) includes added *fructose* in their water supply. Then he finds out about alternate day fasting where you limit to 600calroes alternate days and eat whatever you like (Big Mac's Dennys... anything!) on the other day... he tries this one for 5 weeks back home in the real world and sees significant results. Throughout there was not a single mention of LCHF, sugar and refined starches, or even carbohydrates for that matter. Even the alternate day fasting was challenging for him to maintain so I found it frustrating to watch a person suffer like this to get the same (arguably better) result available through eating LCHF (ad libitum) every day.